SU16 locked on an empty magazine. Trijicon Reflex strikes me as a good sight for a short-range defensive rifle — it’s always on and has a fairly wide field of view. Laser provides a backup solution. Pity the irons aren’t see-through, the reflex would have to be dumped first. 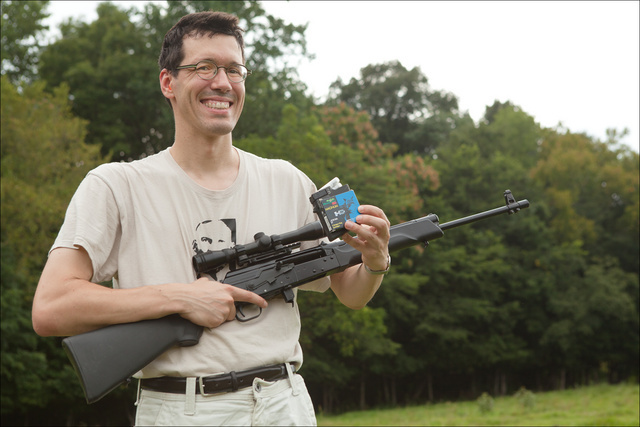 The rifle itself was boring: no malfunctions, no surprises. Same 1-1.5″ spread at 50m as always. Friend’s 410 Saiga. 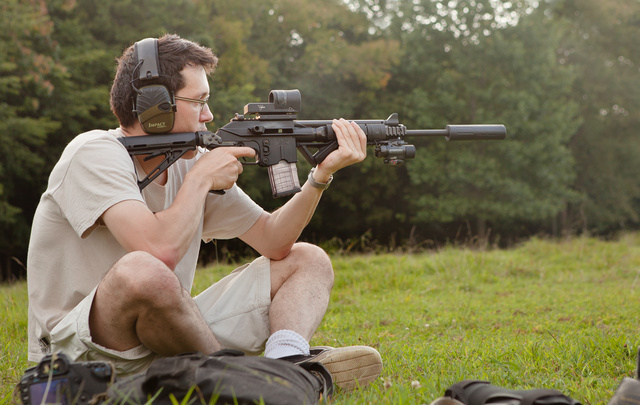 Great weather, good range company, plenty of ammunition, what’s not to like? 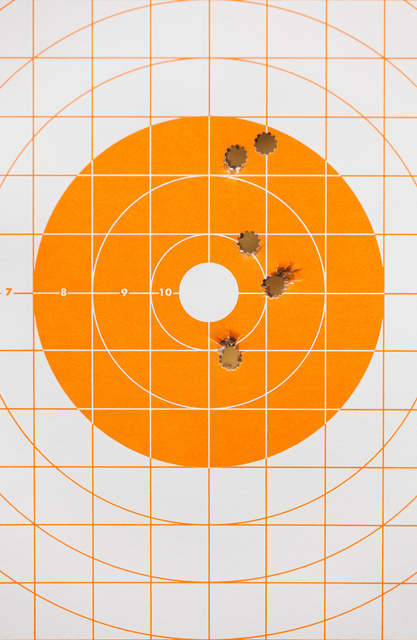 I shot 3″ Brenneke slugs from 50 meters (55 yards). At a previous session at 25 yards, all slugs flew straight. At 55, two out of three just started de-stabilizing. Conclusion: this particular smoothbore shotgun is fine out to about 40 yards (manufacturer recommends 35 yards max) but a rifled choke is preferable past that. Fortunately, Brenneke slugs can be fired through either. Most .410 slugs weigh 1/5oz, these are 1/4oz and more solidly constructed. Judging at the ballistic chart, the projectiles go trans-sonic right around 55-60 yards, which explains the instability. This entry was posted in ammunition, author, rifle, shotgun, sound suppressor, training, weapon and tagged 223, 410, semi-auto. Bookmark the permalink. 1 Response to Yesterday at the range.